As a change from my normal office bound life, work this week took Three Points of the Compass on a small road trip. From Kent up to Norfolk, up and across to Manchester and Southport, then down to Malvern, back to Essex and off home to Kent. ‘Ah ha‘ I thought, ‘I know a business in Malvern I want to visit‘. I have been considering my next upgrade of pack for some time now. 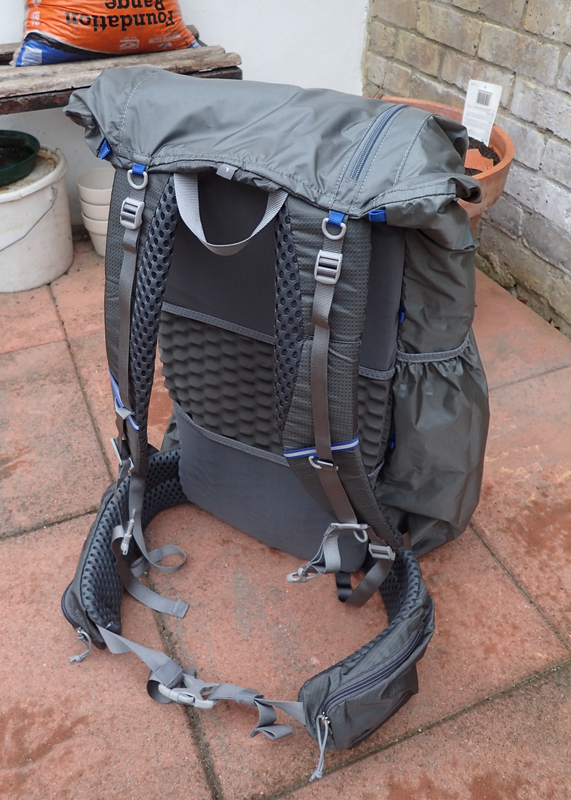 My current ‘pack du jour’; the Osprey Exos 48, excellent as it is, hasn’t quite been cutting it for me on longer treks when carrying full backpacking gear. 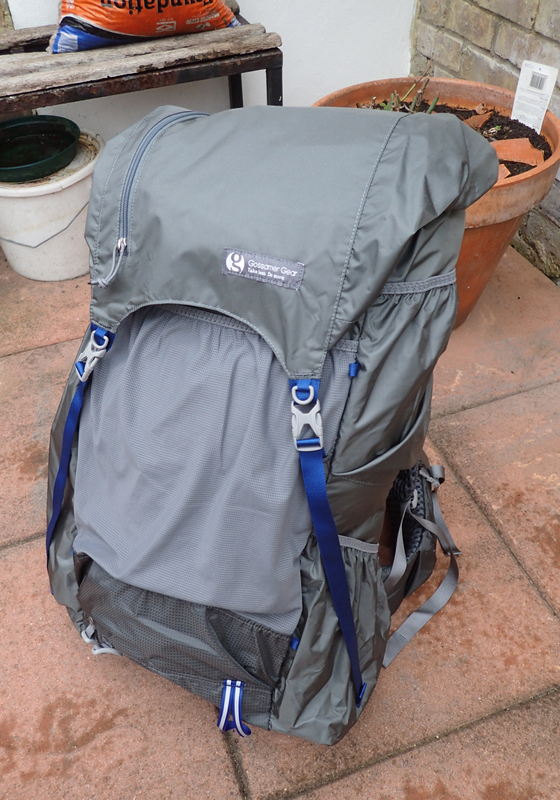 In amongst a small short-list of possible replacements, I was undecided between one of the ULA packs and the Gossamer Gear Mariposa. I have seen the ULA Circuit and Ohm before but had mostly only seen the Robic 2015 incarnation of the Mariposa on the excellent review by Bob Cartwright on the Outdoors Station. Bob’s review had almost settled it for me but I am reluctant to make a large and expensive gear purchase before having had a good rummage round and feel first. This is difficult to manage with products from USA based cottage industry. 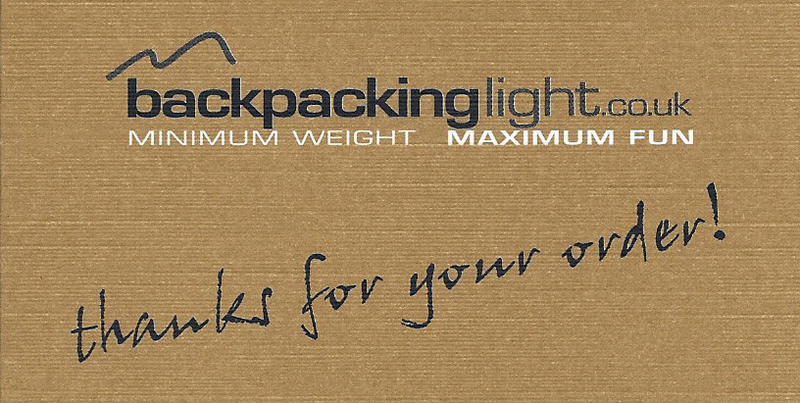 Dropping an email to Backpacking Light, a prompt reply immediately invited me to their offices and store rooms at Hanley Swan to try on a pack or two for size. Having finished my business on the Friday I popped in to their offices and was immediately made welcome by proprietors Bob and Rose and offered a cup of tea. Bob sized me up for a Mariposa pack, loaded weights and I was encouraged to go for a wander round the grounds to get the feel of it. The pack is an excellent product. As I suspected, the configuration of pockets and overall dimensions suit my requirements admirably. Once I have made my future change from my current single skin Nigor Wikiup shelter to the one I have in mind (watch this space), this will slide into the long wand pocket on one side. This pocket stretches the height of the pack and is one of the features that drew me to this particular pack. 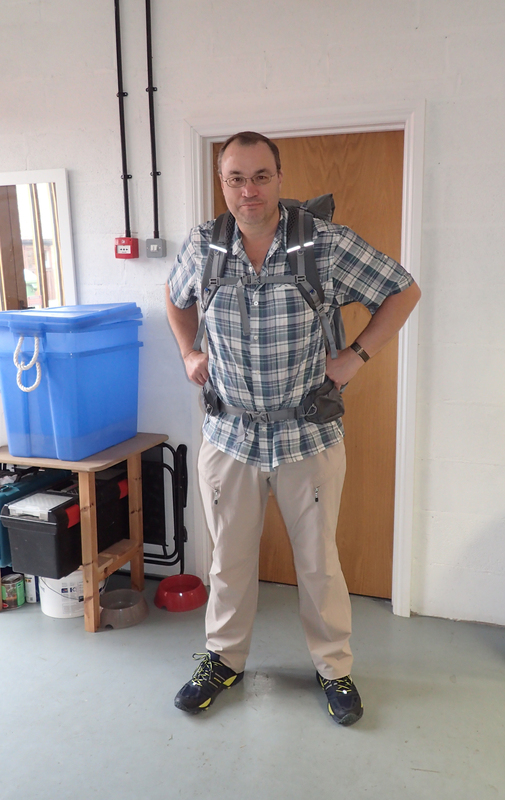 The Large size pack fits my frame well but the bigger question for me was which of the detachable hip belts would prove most suited. Having determined that the Large size hip belt was best, I was chatting to Bob and mentioned my dislike of the hip pockets on the Osprey being too far round to the side. ‘Hold on‘ he says, and disappears for a minute to re-emerge with one of the earlier Large size belts made by Gossamer Gear. The latest belts have decreased the extent to which the padded section extends round the front, pushing the hip pockets further round to the side. However the earlier pattern of belt has just the same thickness of padding over the hips but the padding extends about an inch further forward, in turn putting the hip pockets in a much more usable position. One addition to the latest incarnation of the Mariposa is the return of the inbuilt whistle on the chest sternum buckle. Three Points of the Compass has looked at the effectiveness of whistles recently, the results of that test mean this sternum whistle will remain a back-up to my primary whistle. The internal hydration sleeve is also unlikely to be used for its primary purpose but I like to slip either ‘next up’ maps and documents in to these sleeves, or a sit mat. The addition of a sit mat to anyone’s gear list is a desirable I reckon. Not only are they a real bonus to be pulled out at sit down rest stops at wet, cold or muddy points, but as a place for kneeling in the tent they are much appreciated. A Thermarest Z seat weighs 59g but the Mariposa comes with a 30g ‘SitLight‘ pad slotted into the back, so a handful of grams saved there. Minus food and drink, my base weight these days usually comes in at sub-10kg, well within the load capacity of this pack. As to the weight of the pack itself, needless to say, Gossamer Gear’s listing of weights is slightly dubious- despite their website stating an ‘average’ weight of 986g for large pack, belt, frame, lid and pad, mine totalled 1026g on an accurate set of digital scales. I am not complaining, this still comes in a handful of grams less than my Osprey Exos 48 in large which weighs 1150g. However the Mariposa has an increased capacity (around 60lt.) and is better configured. This may mean that I am unable to meet the desired, if ambitious, 3-4-3 target, but that is only a guide, not a firm rule, we shall see. I am keen to get out and try the pack out in anger. I am convinced it will offer the performance I am after. If so, this will be the pack that accompanies me on my Long Walk. 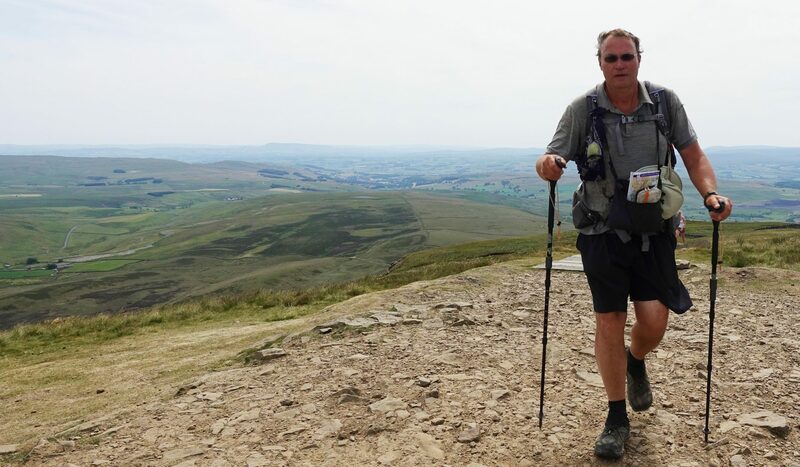 Having made my purchase I hung around for a while chatting all-things gear, walks done and to be done and the merits of various stoves. Both Bob and Rose gave generously of their time, it is very much the personal touch with their customers that sets R&R Enterprises apart from your more average retailer. For this customer, it makes a refreshing change. This entry was posted in Gear, Uncategorized and tagged camping, gear, Hydration, Pack, whistle on October 15, 2016 by Jools. I’m thinking of buying the Gossamer Gear Mariposa and like the idea of packing the tent up last and stowing it in the large side pocket. Now I’m wondering what the effect would be of carrying (in my case) 1.5kg on the side of the pack. Have you found this arrangement to unbalance the pack at all?